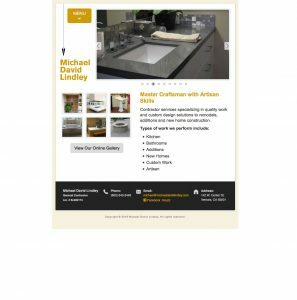 Michael David Lindley is a contractor from Ventura, CA who specializes in quality work and custom design solutions to remodels, additions and new home construction. This is a responsive, portfolio website that I worked on with ZestNet, Inc. 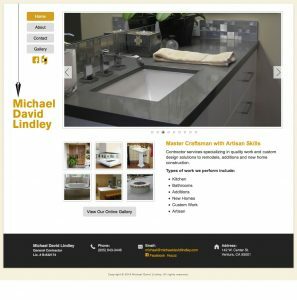 I built this website using HTML5 and CSS3 from design files that were provided to me from the designer. 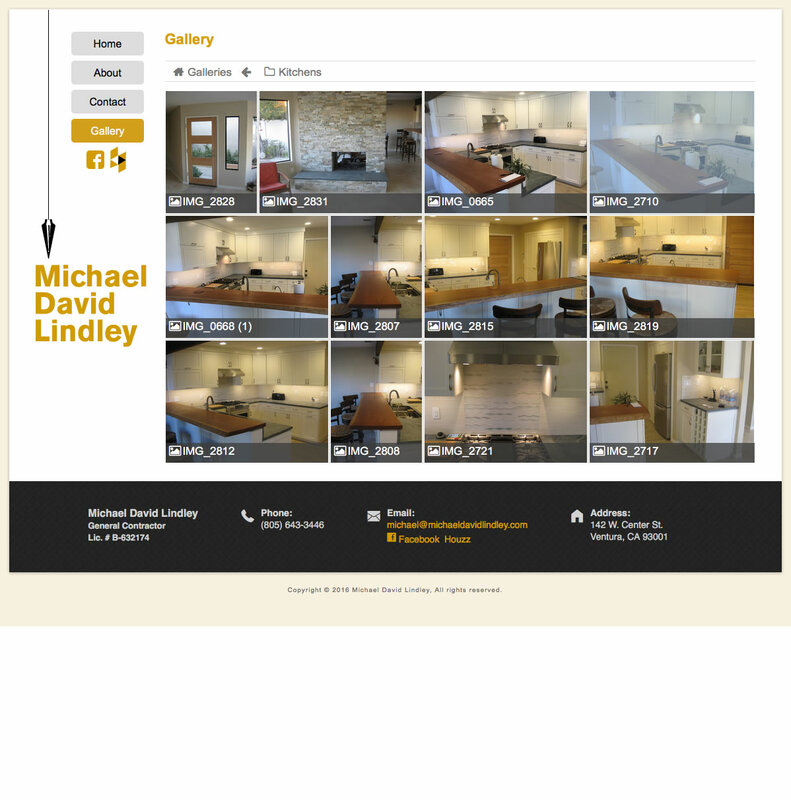 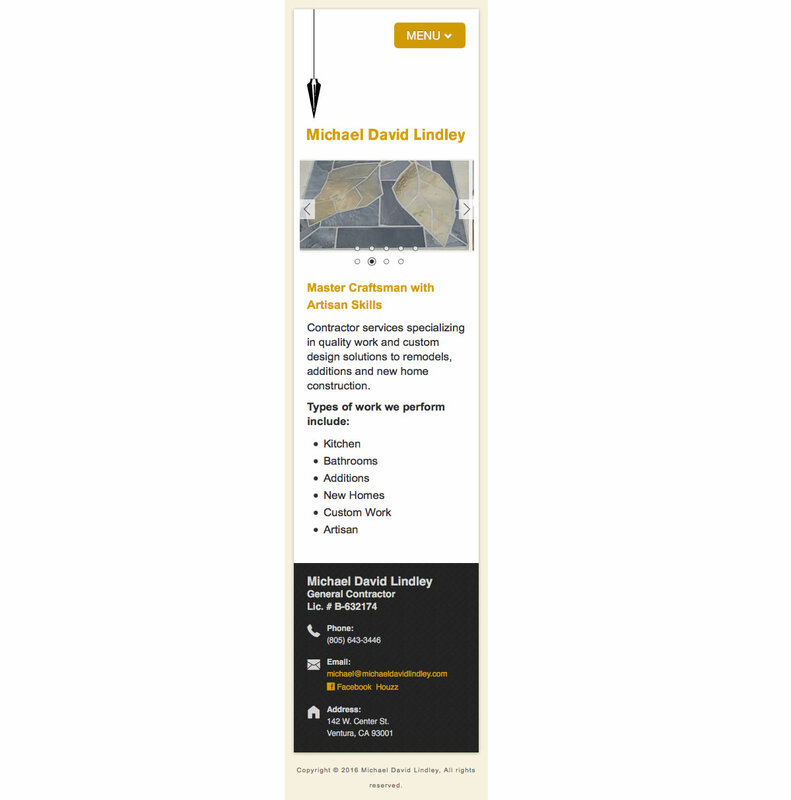 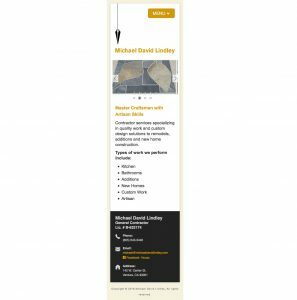 It incorporates Mr. Lindley’s Flickr feed to generate the gallery section of the site. 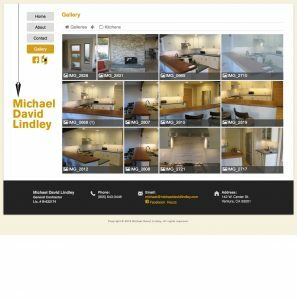 By using Flickr he is able to maintain the gallery section on his own and can upload new gallery photos directly from his phone. Category: Promotional, Responsive, Web Design & Development.